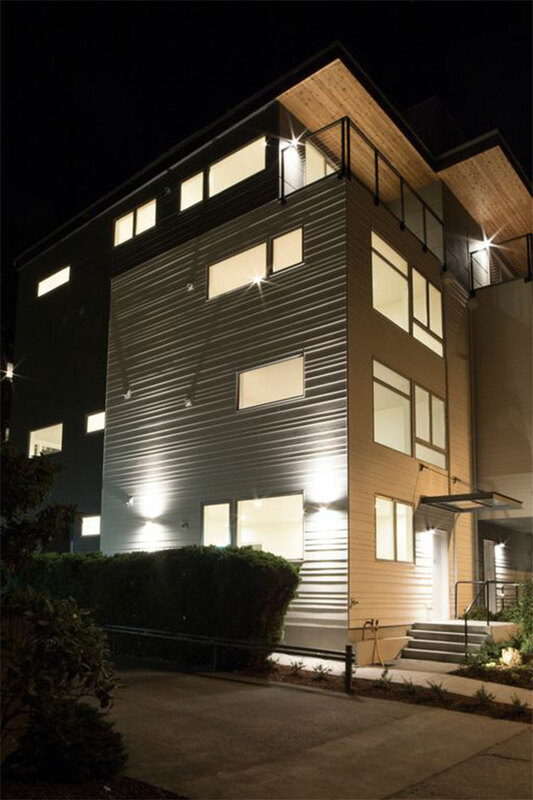 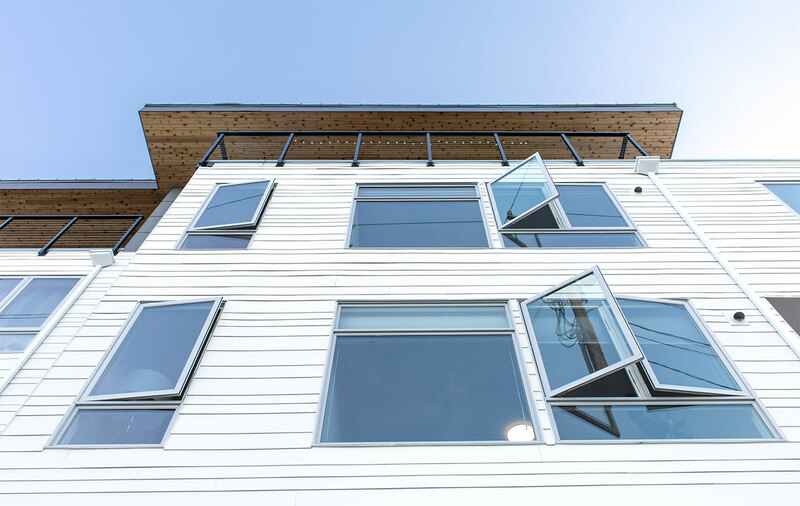 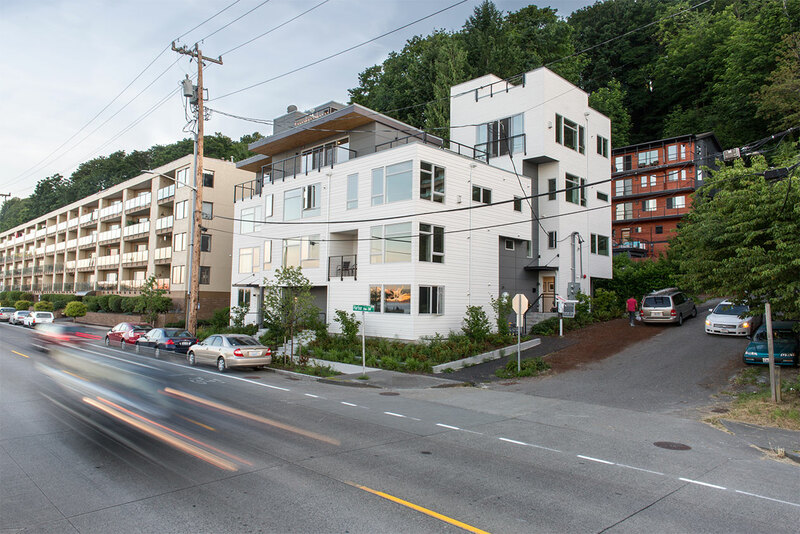 These 4-story row houses perched on the edge of Alki, take in one of the best views in Seattle. 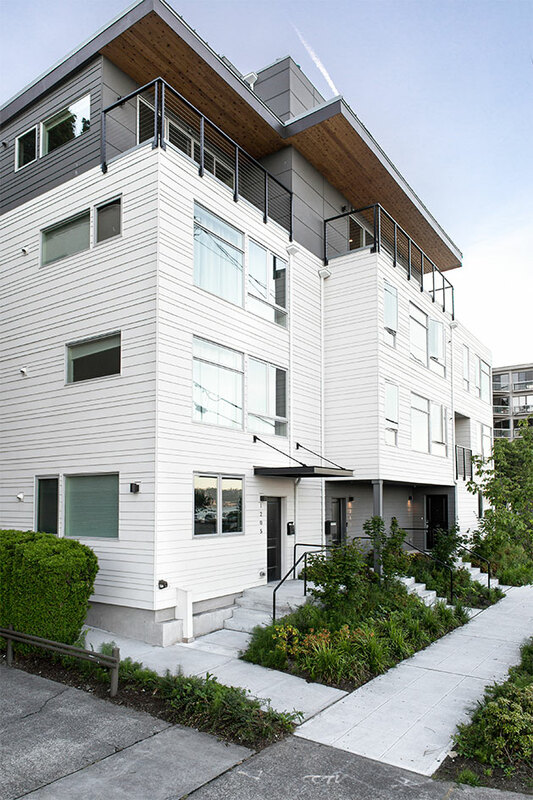 Each of the 4 row houses has a residential elevator. 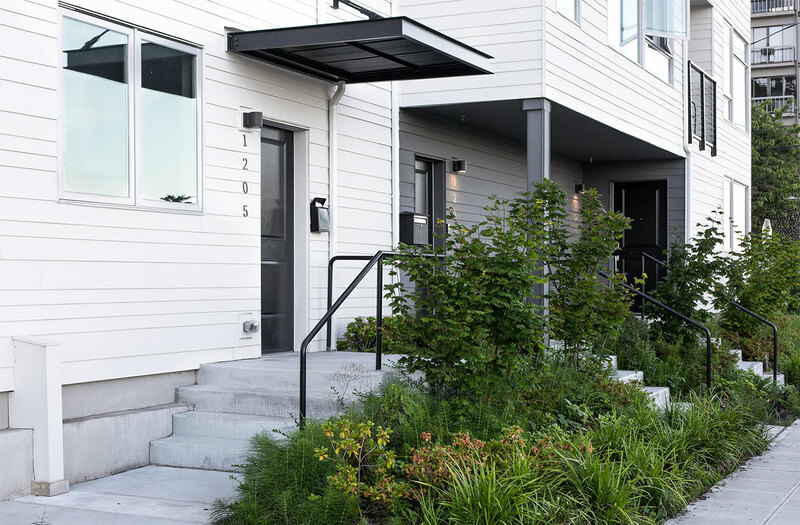 These homes were completed in 2016.